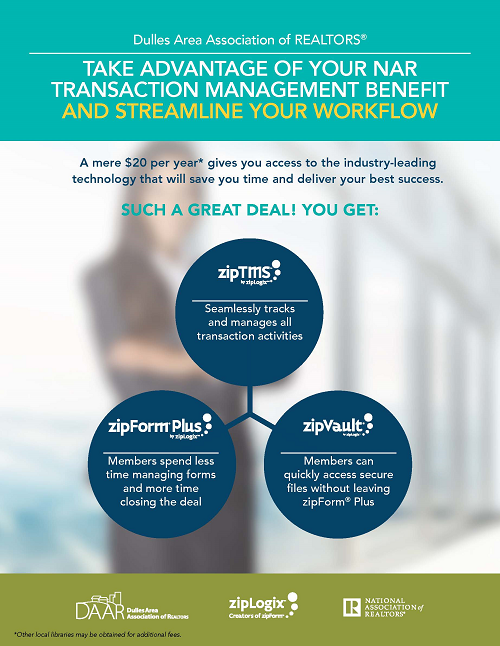 DAAR REALTOR® members can now access NVAR contract forms via zipForms® for $20 a year. Streamline your workflow and take advantage of this opportunity to gain access to the industry-leading technology that will save you time and deliver your best success. Questions? Contact the zipLogix™ Help Desk at 866-693-6767.